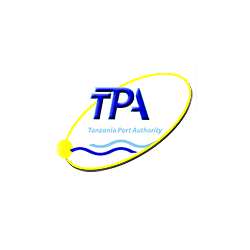 The Tanzania Ports Authority (TPA) launched a new liaison office in Lusaka, Zambia, and announced an investment of USD 10 million in a new Electronic Single Window System (ESWS) that will integrate all the operations in an interface that can be accessed from any computer where it is installed. The effective work of the ESWS and the new office in Lusaka, will increase operational efficiency and lead to time and costs saving due to imports and exports’ information sharing and availability. Under this system, processing and handling information is meant to be automated. The clearing agents will not need to move with documents to the port’s offices for processing the goods since it will be possible by filling the information from any computer connected to the system. Zambian businesses will have their queries and problems attended in Lusaka, instead of making the long way to Dar es Salaam for paperwork issues. The risk of carrying large sums of money for the payment of shipping fees will no longer be a problem for them either, said the Tanzanian Deputy Minister of Transport, Dr. Charles Tizeba. “Efforts are continuing to remove all the obstacles and red tapes business communities are facing at Dar port,” said Zambian Minister for Transport, Works, Supply and Communications, Mr. Yamfwa Mukanga. Zambia leads other countries of the Region to pass cargo at the Dar es Salaam port. They represent 30% of the total traffic in the port, from which Zambia counts for a 41%. Dar es Salaam Port represents a key starting point to develop the Tanzanian and Zambian Trading Sector, according to the CIA World Factbook, a combined 38% (USD 2 billion) of the exports from Tanzania goes to Asia, from which 95% pass by this port, meanwhile, a 38.5% (USD 3 billion) of the exports from Zambia goes to India in a year, with an estimated of USD 1.75 billion through Dar port.